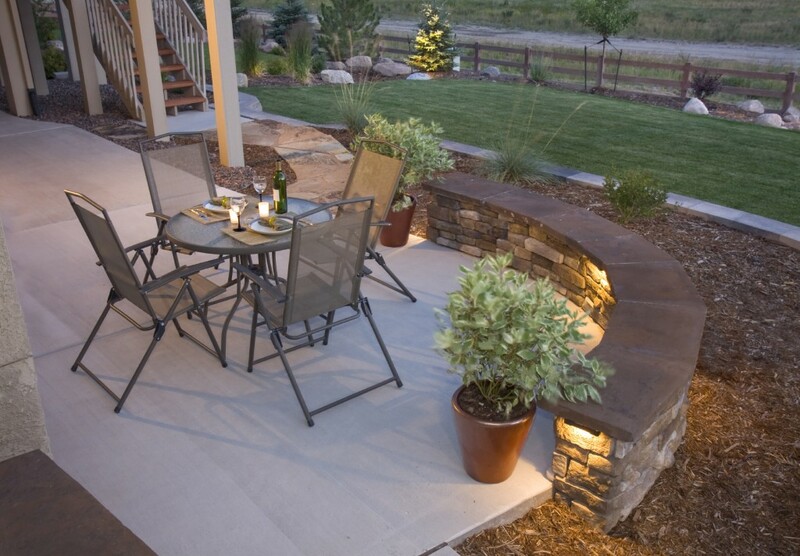 Outdoor lighting is certainly functional, but it can also add a great deal of beauty to your yard and landscaping. Once you have identified the reasons you’d like to add landscape lighting, it’s a good idea to contact a landscape designer that can help by providing renderings or sketches for best lighting placement. A landscape designer will consider any existing architectural features, patios, fountains or gardens when determining the best areas to add outdoor lighting. Paths and walkways. Path and walkway lights prevent accidents along outdoor footpaths. 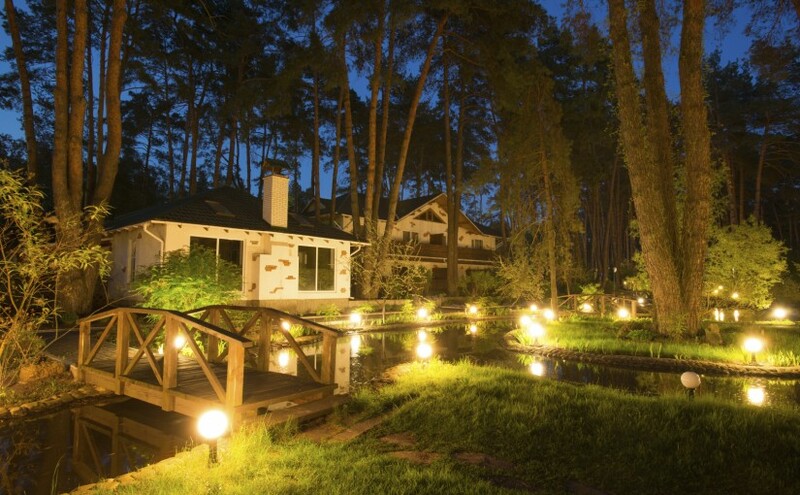 Walkways should be illuminated so that visitors and family members are able to get around safely outdoors after dark. Path lights or post lanterns are good options for your yard, and mounted fixtures can be added to the side of the house near sidewalks or driveways. 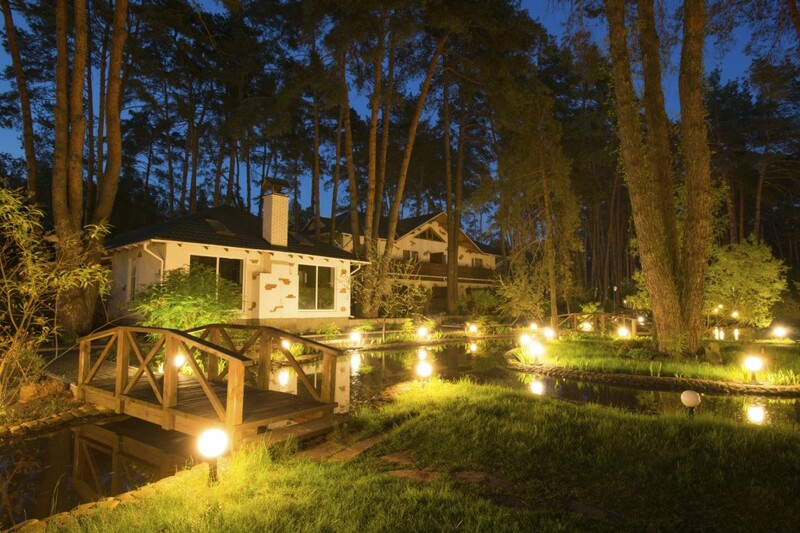 The latest lighting control features can be used to brighten walkways with a higher level of light while shedding a more subtle level of light on shrubs, flowerbeds and ground cover. Decks and patios. Deck lights will shed ambient light onto your deck for safe and easy navigation. You can also transform your deck or patio into a relaxing evening retreat by placing low-voltage mini-lights under steps or benches. Architectural features. Exterior accent landscape lighting can help showcase architectural features and outdoor living areas with the incorporation of uplights, downlights and spotlights. You can use the nuances of light and shadow to add beauty to the exterior of your home at night. When you strategically place landscape lighting at upward or downward angles, you can create silhouettes or direct shadows. Gazebos and trellises. White outdoor string lights and rustic hanging lanterns can create a magical atmosphere when hung inside a gazebo or trellis. String lights provide a cozy and elegant feel, particularly when used in small gazebo or trellis areas. Fountains and pools. You can capture the evening beauty of water features like fountains, ponds or pools by adding LED lighting that has been specifically created for underwater illumination. Floating and solar-powered lights are another option; however, if underground wiring is required, you should consult with an experienced landscaping contractor. Now that you know more about how landscape lighting can add both function and beauty to your outdoor living spaces, contact Landscape Creations at 630-932-8966 for a customized evaluation to learn which types of outdoor lighting will work best for the exterior of your home. I really like the idea of highlighting certain elements with lighting. My husband and really want to put in a gazebo, and I think that lights could really help make it stand out. When we hire a landscaping service we will have to ask them what they think about this idea. Thank you for sharing.